Welcome to the CMBP Web Site. The U.S. Census Monitoring Board, established by Congress in 1997, is a bipartisan board charged with monitoring Census 2000 operations and with reporting its findings to Congress. The Board is composed of eight Members: four appointed by the President, two appointed by the Speaker of the House of Representatives, and two appointed by the Majority Leader of the United States Senate. 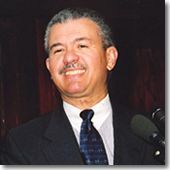 The Board began its work in 1998 and issued reports to Congress in February, April and October of 1999, March and April of 2000, and in April 2001. The Final Report was submitted on September 26, 2001. Need a copy of Adobe Acrobat? Click the link above to download a free copy of Acrobat Reader from the Adobe Web site.